Details from the 1939 Lloyds Register of Yachts of some of the boats built by White Brothers of Itchen Ferry on the bank of the Itchen River - note that some of the vessels had had their names changed since launch. Some of the vessels are described as 'Composite' construction, it's obviously not modern-day 'Composite', but the framework of the hull was probably steel, with timber planking. 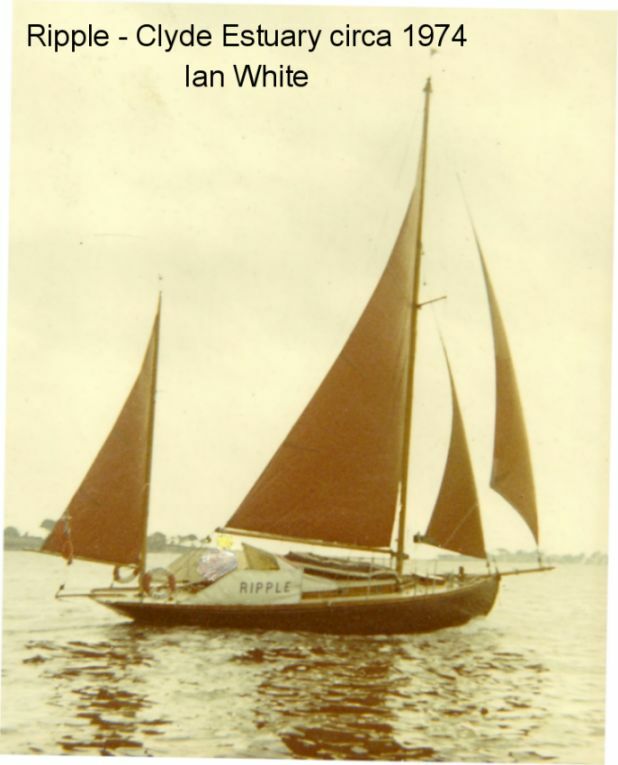 Some of the websites linked to show the builder as J Samuel White of Cowes, this is incorrect, it was White Brothers - I'm RIGHT, they are WRONG ! Moyana Wood 103 1899 Auxilary Ketch - winner of the first Tall Ships Race in 1956; but on the voyage home she began to break up in a freak storm and sank.